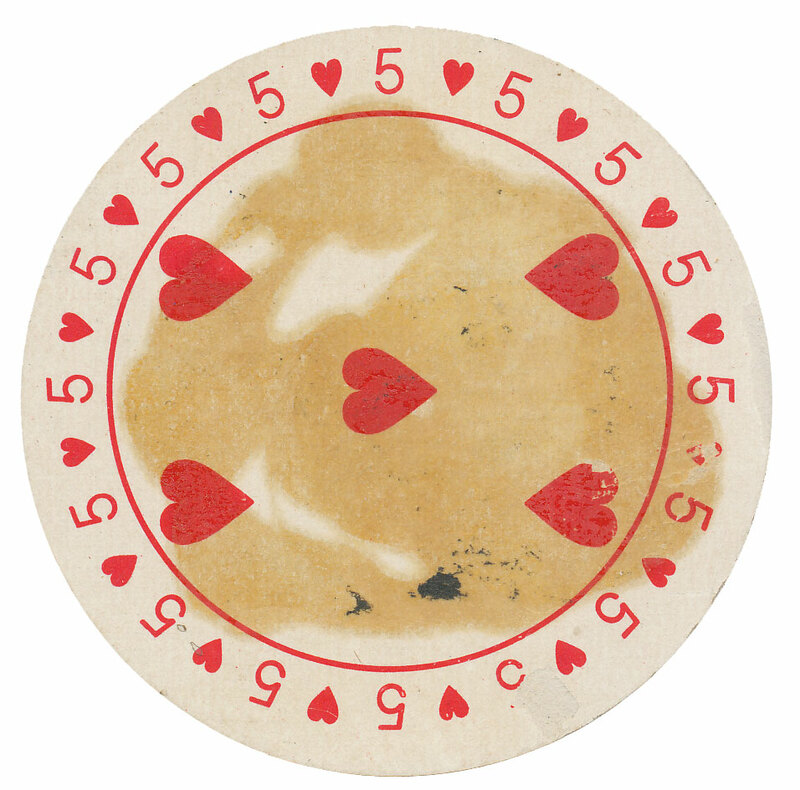 Round playing card, the five of hearts. Lovely illustration on reverse side. Found in "Little Women" by Louisa May Alcott. 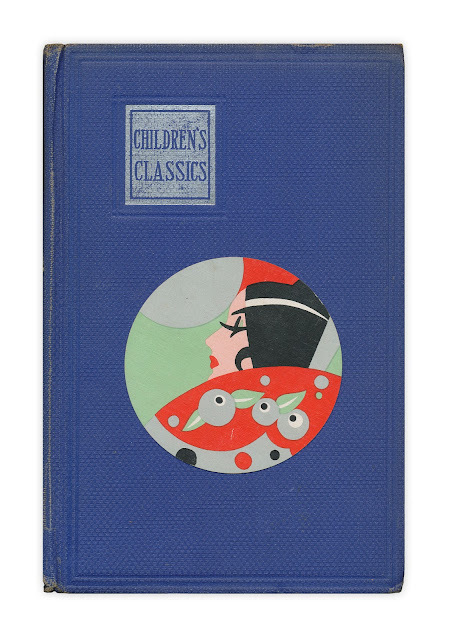 Published by World Publishing, circa 1934. I had some round cards at one time... hmmm... wonder where they made off to. Would love to have this book for my granddaughters to read. What an awesome card! The art is really neat. I love Little women, it was one of my favorite books growing up. Antique children's books are what I collect up the most. :) It would certainly go to a good home. I love Little Women! I've got a vintage copy already, but this one is much older. Please enter me into the contest! I'm not sure I've ever seen a round playing card before! This one is lovely! Oh, I'm so curious to know what this book contains! :) Children's literature interests me a lot, because I'm a puppet theatre director and write plays and dramatizations of fairytales. I like very much this round card and especially its back side - it looks like a paprecut! Awesome book and cool find. I've never seen round playing cards. Little Women was the first book I read that was a "grown-up" book - I read it in second or third grade and have loved it ever since :) Please enter me to win it! And thanks for doing these sweet little giveaways. Yes, the card will come with it. Believe it or not, I've never read Little Women. *gasp* But I keep meaning to get to it - eventually. I'd love to have this copy. Maybe that would motivate me to FINALLY read it! My favorite book from childhood - I still read it - specially when I am sick - it's comforting to read the warm and familiar. I would so love to have this book. Thank you. Little Women was one of my favorites growing up, but my childhood copy has been lost. I'd love to win this copy! Allrightythen!!! Love the playing card and hope it goes with! Love the picture on the back! My local branch of the library had the two book version of Little Women, and unbeknownst to me as a child they only had the first book. When I was a teen the movie with Christian Bale and Winona Ryder came out and much to my shock there was a lot more to the story than I knew. Since then I've reread the whole thing many, many times over, but I don't have my own copy to love. I wonder if they still make cards like those. So pretty.